The musical that redefined a genre is opening next on the Mainstage at Asheville Community Theatre. 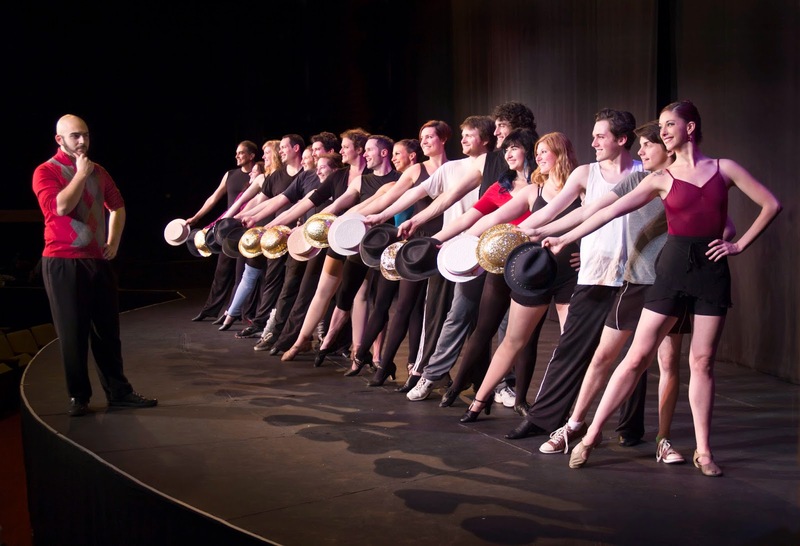 A Chorus Line is a brilliantly complex fusion of dance, song and compellingly authentic drama, this “singular sensation” redefined musical theatre. It’s a behind-the-scenes look at an audition process as well as a celebration of what it means to truly be a dancer. A Chorus Line opens February 6, 2015 and runs through March 1, 2015 with performances Friday and Saturday nights at 7:30 pm and Sunday afternoons at 2:30 pm. Tickets are available online at www.ashevilletheatre.org, over the phone at 828-254-1320, or in person at the Asheville Community Theatre Box Office. The original Broadway production of A Chorus Line swept the Tonys, and is one of the few musicals to ever win a Pulitzer Prize. Though the musical premiered on Broadway in 1975, this is the first time Asheville Community Theatre has produced A Chorus Line. Asheville Community Theatre’s production of A Chorus Line is directed by Chanda Calentine who last helmed ACT’s acclaimed production of Kiss Me, Kate. Musical direction is by Gary Mitchell, and choreography is by Tina Pisano-Foor. A Chorus Line truly is an ensemble piece, and ACT is thrilled to welcome back to the stage both ACT veterans and newcomers in this cast of 25. The set is designed by Jill Summers with costumes by Deborah Austin. As a special promotion, adult, senior, and student tickets for all three Opening Weekend performances are priced at $20.00. For more information about A Chorus Line or about Asheville Community Theatre, please visit www.ashevilletheatre.org.